The work performed by the team of the Executive Secretariat of the Nursing Virtual Health Library (VHL), Francisco Lana, Mariana Felisbino, Allana Reis, Meiriele Tavares, Hugo Átila and Jordana Rabelo, from the Nursing School of the Universidade Federal de Minas Gerais (UFMG), highlights, besides the characteristics of the project, the indicators for the collection of information sources and for accessing the portal, as well as the advances and challenges faced by the International Nursing VHL Network. The work (Fig. 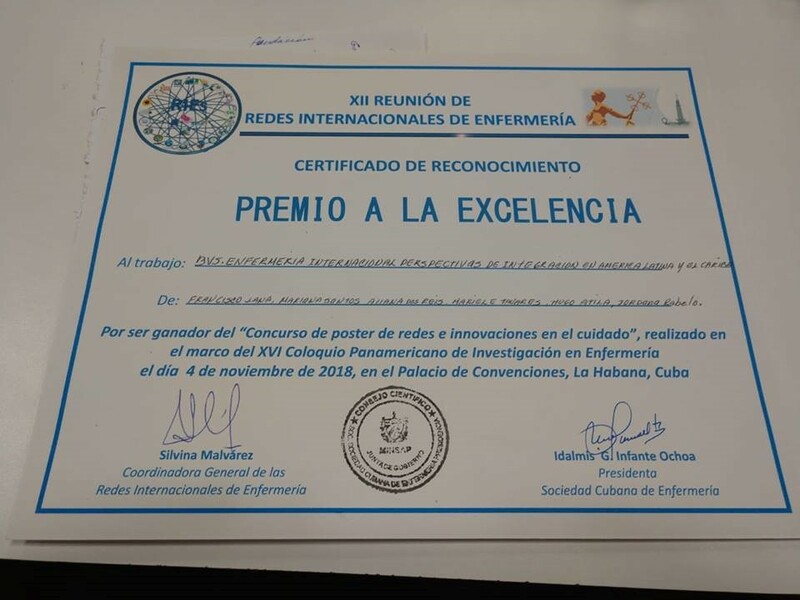 1) received first prize at the “Concurso de poster de redes e innovaciones en el cuidado” (Poster contest for networks and innovation in health care), held by the XVI Coloquio Panamericano de Investigación en Enfermería (XVI Pan American Conference on Nursing Research). 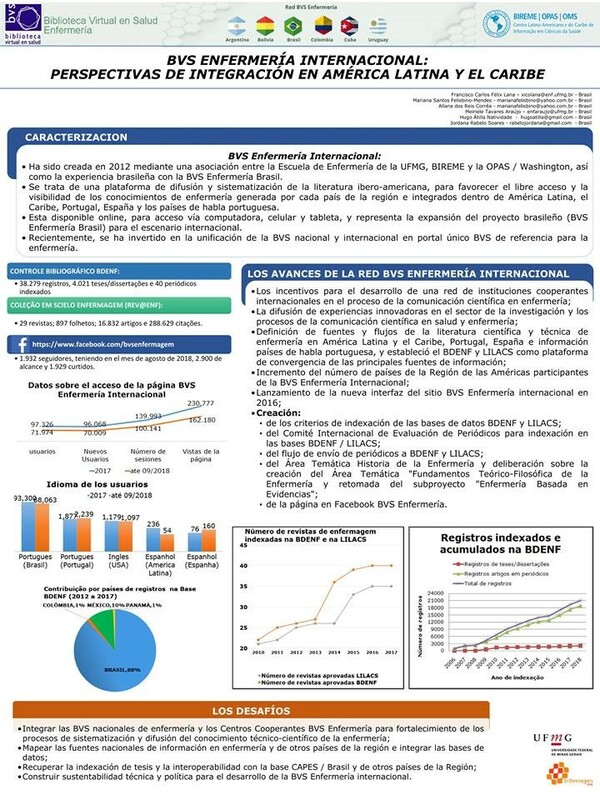 The conference is a biannual meeting on nursing that considers different spheres of the practice: clinical care, management, research and human resource training in the Region of the Americas. It is extending to several parts of the world with the support of the Pan American Health Organization and the PAHO/WHO Collaborating Centers for Nursing and Obstetrics. This year, the central topic was “The Contribution of Nursing in Primary Health Care for Universal Health”. Deciding on the inclusion of new journals in BDENF/LILACS. The Nursing VHL Network meets annually with the purpose of analyzing advances and strengthening ties within the network, for improving organization and equitable access to scientific information on nursing. Figure 1. 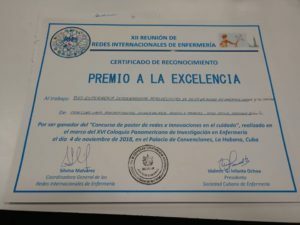 Presented in poster form, the work entitled “BVS Enfermería Internacional: perspectivas de integración en América Latina y el Caribe” (International Nursing VHL: Perspectives for integration in Latin America and the Caribbean), received the excellence award in the XII Meeting of International Nursing Networks in Havana, Cuba.